As one of the most influential and inspiring leaders in our nation’s history, Martin Luther King, Jr., was a minister and civil rights activist that greatly impacted race relations in our country. Drawing upon his faith, King organized peaceful protests and delivered inspirational speeches, bringing messages of love, hope, and equality to all. His “I Have a Dream” speech still impacts people today and encourages us to move forward with racial equality and justice. As we take a day to honor a great leader known for his love and compassion for all people, here are three ways you can celebrate MLK Day. COME.Unity.2019 is an evening of inspiration, hope, and challenge. Come see and experience the power of Scripture and spoken word, observe a panel discussion on race and reconciliation in the Church, and hear the power of our multi-ethnic, multi-denominational choir united with one voice, one spirit, and one sound. This event will be held at the main campus of the dynamic, multi-cultural ONE Community Church in Plano, TX. This will be a night you don’t want to miss. 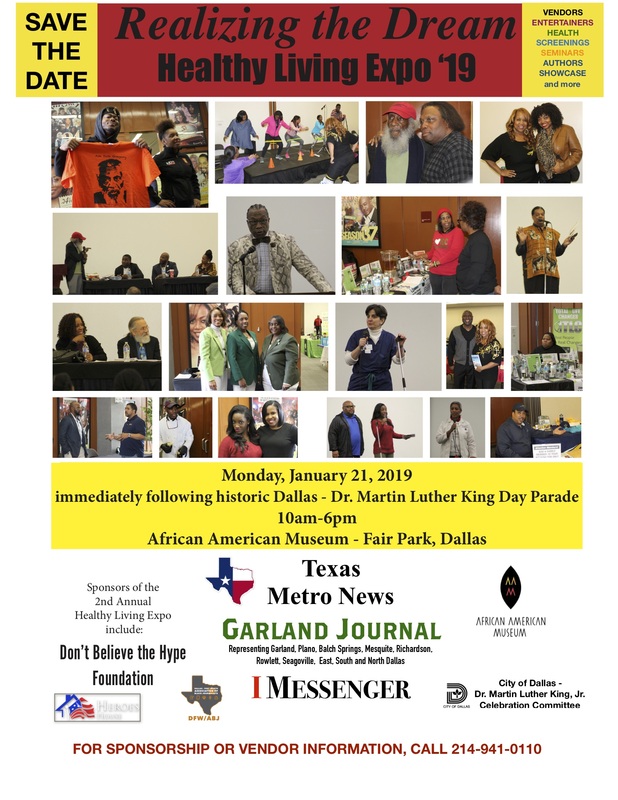 Invite your family and friends to the 37th Annual Martin Luther King Jr. Celebration Weekend Parade on Monday, January 21, starting at 10:00 a.m., in Dallas, TX. The parade will feature colorful floats, marching bands, dance and drill teams, car clubs, community and civic groups, elected officials, and more. The route begins at MLK Blvd. at Holmes Street and ends at Fair Park. After the parade, make your way to Realizing the Dream Expo at the African American Museum. This family-friendly event includes workshops, vendors, food, entertainment, and giveaways. On Friday, January 18, from 7:00-9:00 p.m., there will be a candlelight ceremony to celebrate the life of Martin Luther King, Jr. There will be a special speaker and live entertainment. This year’s theme is “Reconciliation: Moving the Dream Forward.” The event will conclude with a procession at a statue of King at the MLK Community Center. In 1983, the United States legislation declared the birthday of Martin Luther King, Jr., as a federal holiday. In 1994, Congress designated this federal holiday as a national day of service, led by the Corporation for National and Community Service. Each year, on MLK Day, it is a day of service that is intended to empower individuals, strengthen communities, and create solutions to social problems, bringing us a step closer to King’s vision of an equal and free society. This year, on MLK Day of Service, there are local service projects we can participate in to show love to all people. To check out service opportunities in your area, visit MLK Day Volunteer Opportunities. If you cannot participate in one of these projects, think of a way you can make a difference in your own neighborhood. It can be as simple as greeting a new neighbor to show them love and acceptance. Or collect donations such as toiletry items and clothing for a local refugee center. Another great way to celebrate MLK Day is to educate your family about different cultures. For example, you can read or listen to King’s “I Have a Dream” speech. Talk to your children about the implications of this speech and what it means for us today. You can also plan a family dinner where you and your family cook dishes from different cultures together. Vote on the dish your family likes the best and learn about that culture! If your family cannot serve together, you can celebrate MLK Day by making a list of problems in your community such as homelessness, poverty, or broken families. Pick a problem and create a plan of how your family can help solve this issue. This will be a great way to help children understand how to identify and solve problems where they are.